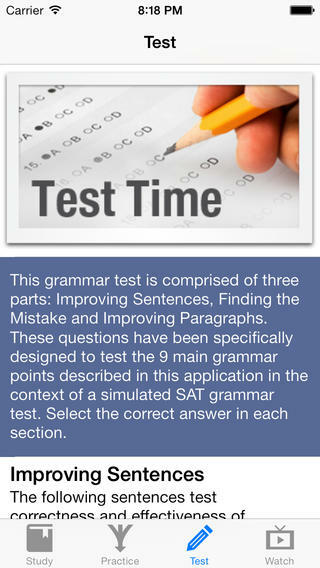 Killer SAT Grammar iOS App Review: Master Your SAT Grammar On Your iPhone! 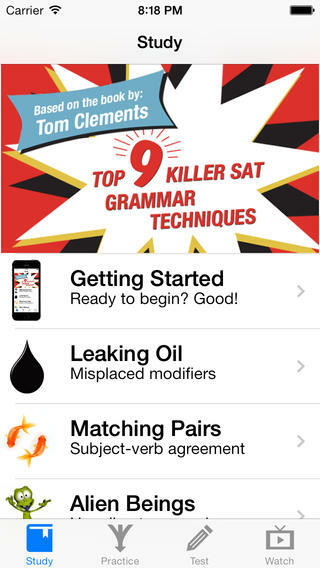 If you are looking for an app that can give you a way to master SAT grammar with simple and actionable techniques, it has to be this cool new app for iOS called Killer SAT Grammar! 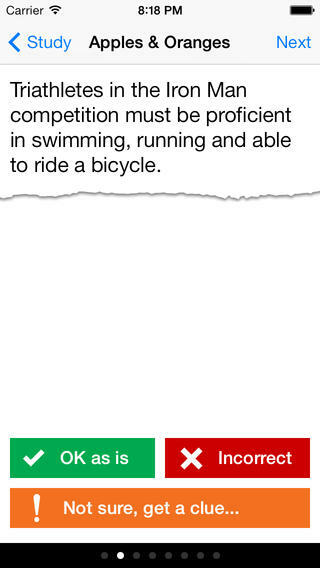 And if you try this free app, you will notice the same. This app has divided the total study in three expertise levels like Study, Jumbles & Tests. Each of these have an interactive learning experience through some of the most successful ways to learn SAT grammar. Study – this concept level describes the 9 rules you need to get top scores on the grammar section. Graphics and a sideshow movie make the rules easy to learn and fun. Interactive practice questions for each rule reinforce the concepts. Jumbles – this strategic level mixes interactive questions from the first level in random order, forcing you to think on your feet. 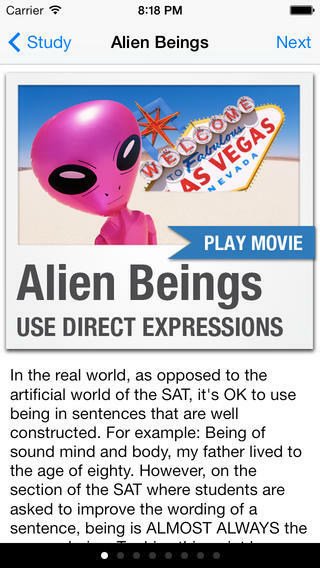 Test – this advanced level provides SAT-style questions specifically designed to reinforce the rules presented in the app. As you might have already guessed these study structure has been crafted around Tom Clements SAT preparation, who is a well-known expert. 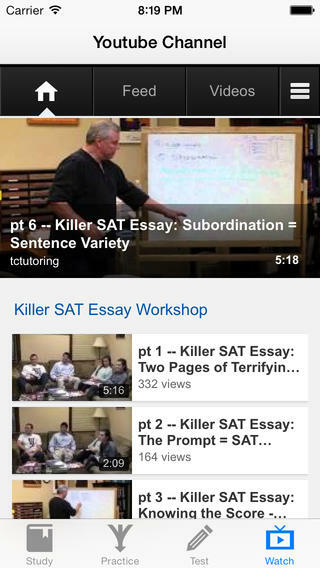 You can also find his videos inside this app, tutoring about SAT essay sections from various workshops. The interface of this app is very creatively done, and you will find the overall experience pretty engaging, when you learn through this app. This app looks amazing on both iPhone and iPad, and its intutive design makes it easy to use even for a the first time user. To sum up, I will highly recommend this app for SAT students to try at least once, considering its feature and no price tag. Elevation Earth iOS App Review: Explore Earth's Terrain On Your iPhone & iPad! TomTom Start 20 In-Depth Review (India): The Perfect Travel Companion! ATracker iOS App Review – Most Optimized Daily Task Tracking! Get an Expert’s Advice With HeyBiz Messenger On Android and iOS!